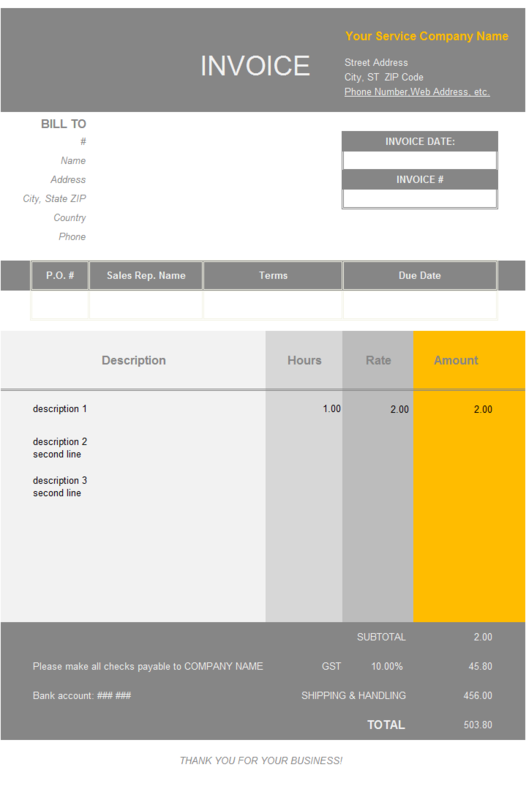 c6018 now includes the customized invoice template for the latest version of Invoice Manager for Excel. This is what you will see when you open freelance.xlsx. 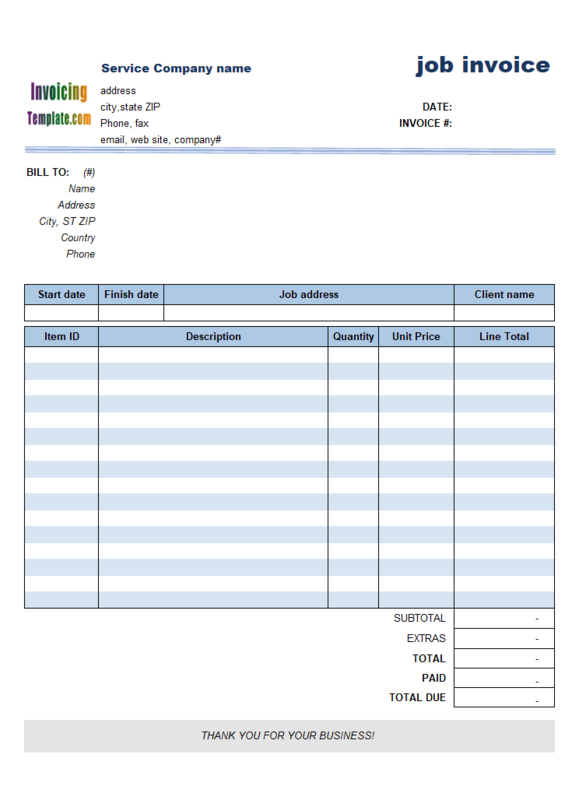 Please also see Professional Freelance Bill. 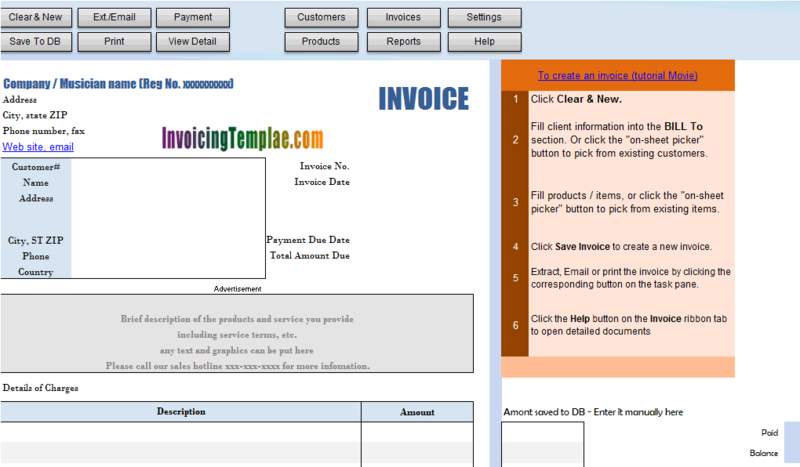 On the top of the freelance invoice template, you see a logo image. This is a placeholder image that you should replace with your own image. 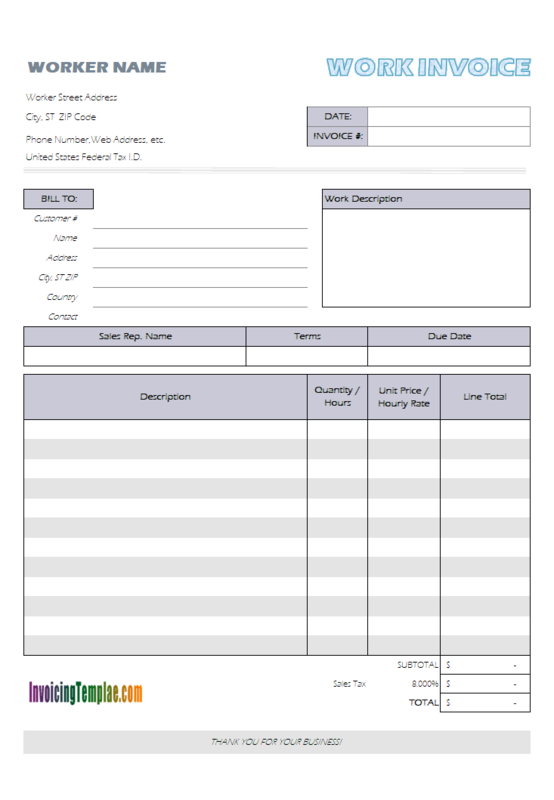 Download the template and see the instructions included to find out how to do this. Next to the logo is your company or business information, including your company name, your name, address, telephone number and email address or web site address. If you client have any questions about the charges, contacting you should be as easy as possible. 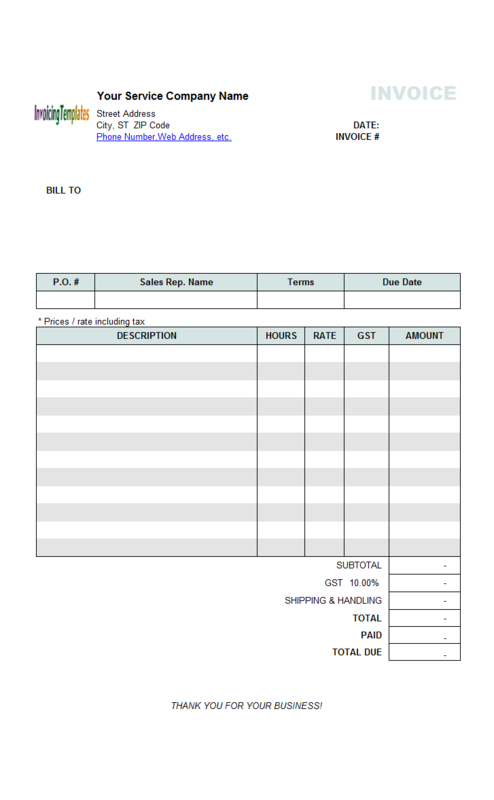 On the top-right section there is two required fields, the invoice# and invoicing date. 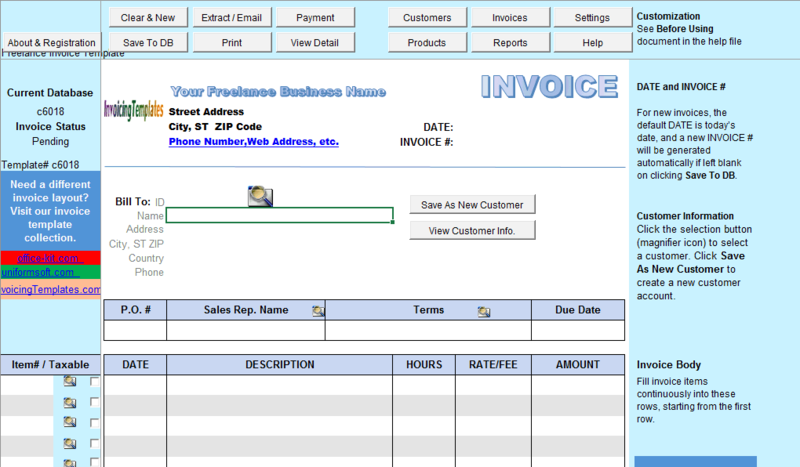 If Invoice Manager for Excel (namely Uniform Invoice Software) - our invoicing software that is able to turn a simple Excel invoice template into a complete invoicing program, is installed, clicking on the "Clear & New" button will fill in the invoicing date automatically (as long as other usual fields such as sales person etc. 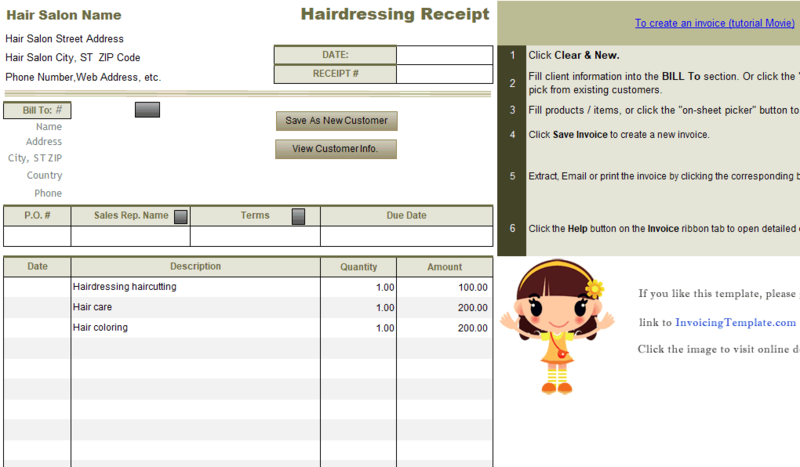 ), and an invoice# is generated automatically when you click "Save To DB". On the client section, you can detail the client's address. 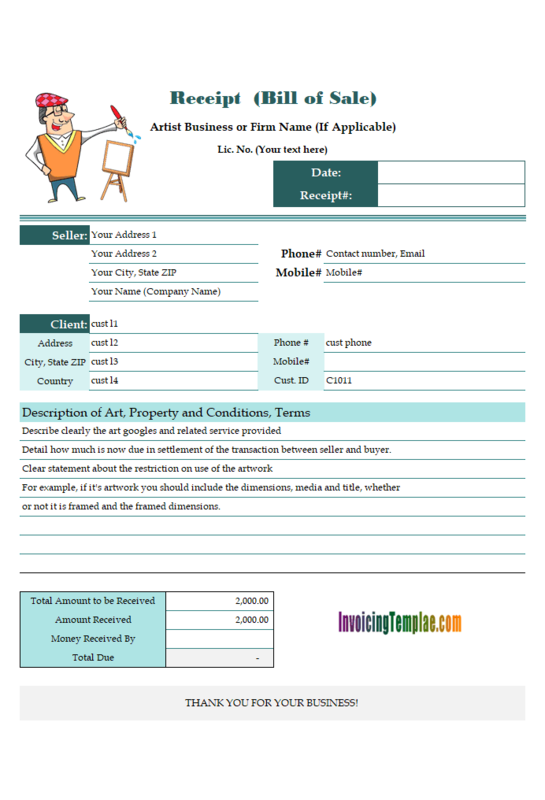 Make sure to include the name of the client's contact person who handles your account! 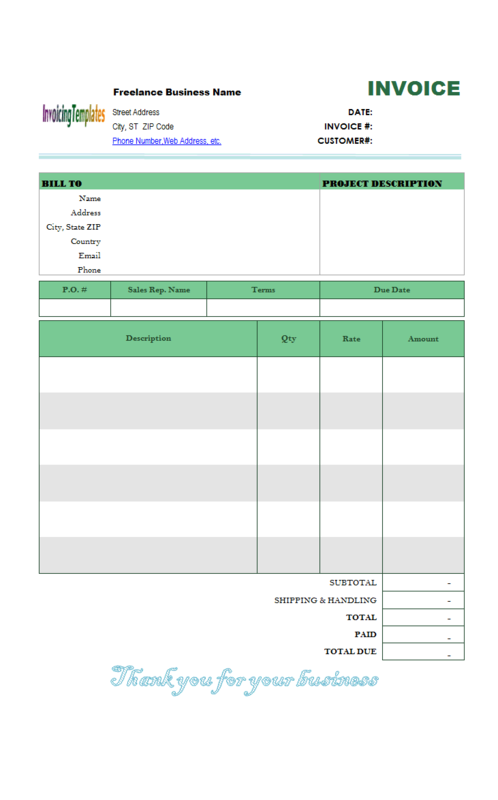 A company with three employees can figure out what you're doing; but in big companies, invoices get misplaced, especially if there's confusion over who belongs to which project. So always fill in all the required information as detailed as possible. People want to know what they've paid for. Most people will not pay for something described merely as "Design." Tell them exactly what they have received on the detail section. 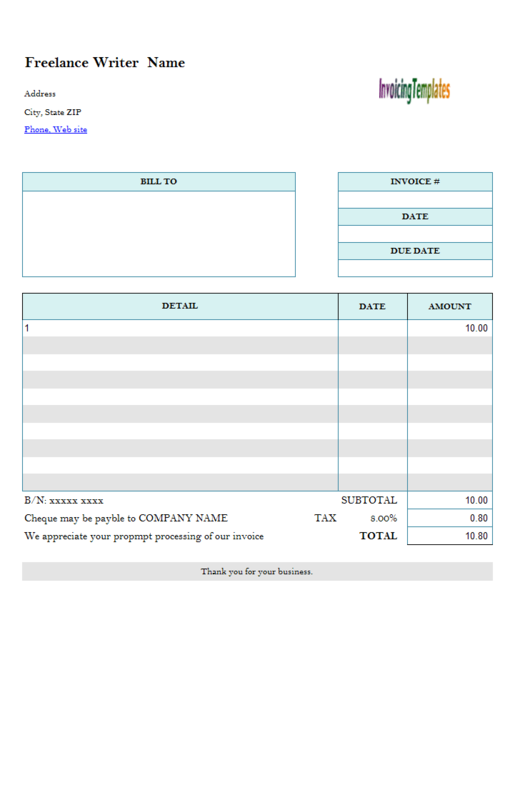 If you are a Invoice Manager for Excel (namely Uniform Invoice Software) user, note that the Date field is a custom field, which allows you to detail when your freelance work done for the clients. 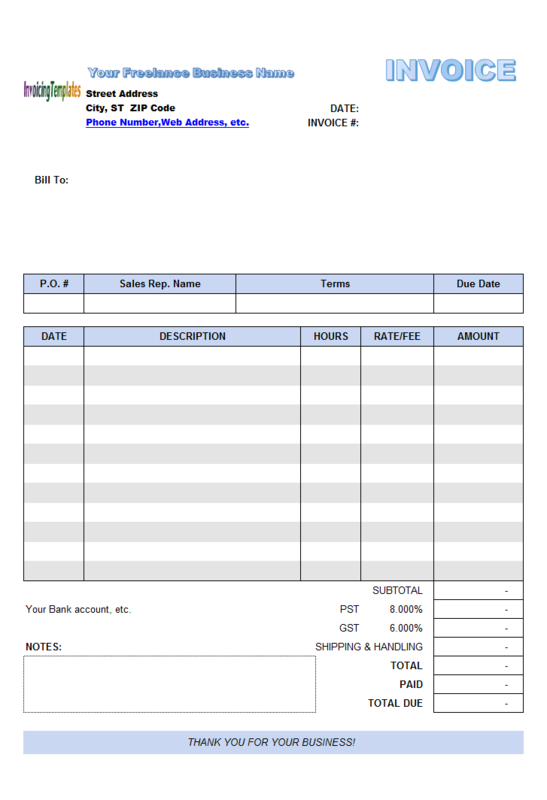 The Item# field / column, which is placed out side of the printable freelance invoice form, is useful especially for Invoice Manager for Excel (namely Uniform Invoice Software) users. 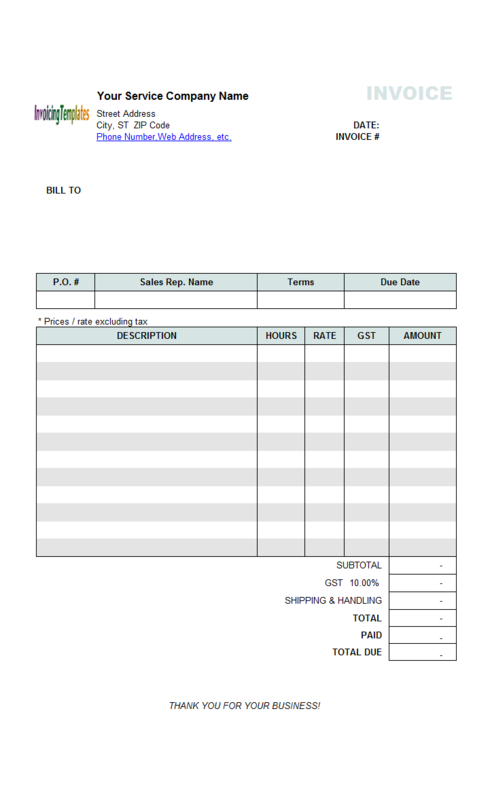 Entering a short code, such as "s01" or "s02" into the item# cells, the saved descriptions and rate / unit price will be retrieved and filled into the form, so that you don't have type the same text again and again. 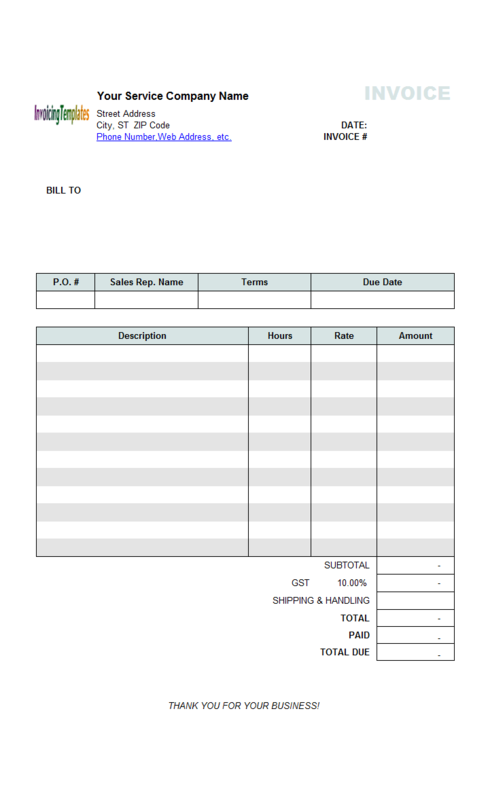 This feature is called in-cell lookup in Invoice Manager for Excel (namely Uniform Invoice Software). Be sure to download and test the fully functional trial version to see how it works for you. 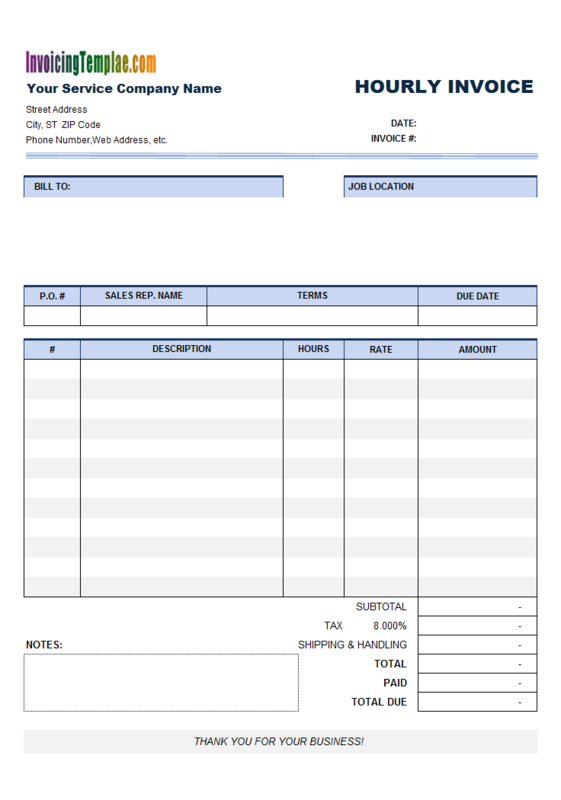 Like other form designs here on InvoicingTemplate.com, Freelance Billing Template is free (offered to you at a price of 0.00USD). It works on Windows XP and all newer versions of Windows, and Excel 2007, 2010, 2013 or 2016.